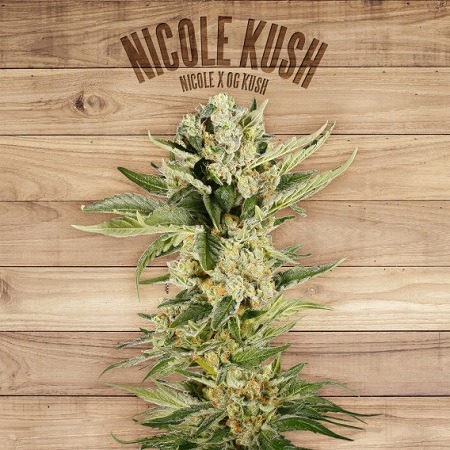 Nicole Kush was created by fertilising a female Nicole plant with pollen from an O.G. Kush. 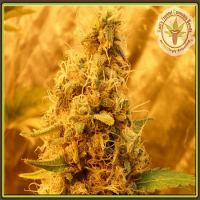 Nicole Kush Feminized Cannabis Seeds by The Plant Organic Seeds: Nicole Kush was created by fertilising a female Nicole plant with pollen from an O.G. Kush. It has a slightly bigger structure than Nicole, similarly dense buds and a larger potential yield. 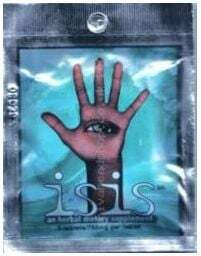 Especially recommended for outdoor cultivation. Nicole Kush is a straightforward plant to cultivate which does not require an awful lot of attention - part of the reason that it makes such a great outdoor strain. It also devours as much sunlight as it can be provided with and is also very successful when cultivated in a greenhouse or even indoors. 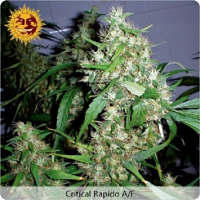 The flowering period indoors is 9 weeks with good yields of approximately 450 - 500 gr/m2; outdoor growers will obtain something in the region of 550 - 600 gr/m2 with northern hemisphere harvests being during October. 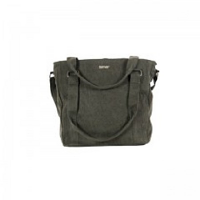 Its aroma is rather musky with fruity undertones whie the flavour is a mixture of grape with earthy background notes. THC levels are at 15.49% with 0.1% CBD. Although Nicole Kush has a potent indica effect its 25% sativa genes provide it with a euphoric, uplifting quality which can induce laughter. Therapeutically it is a great appetite stimulant and it also has a relaxing effect which can counter insomnia.